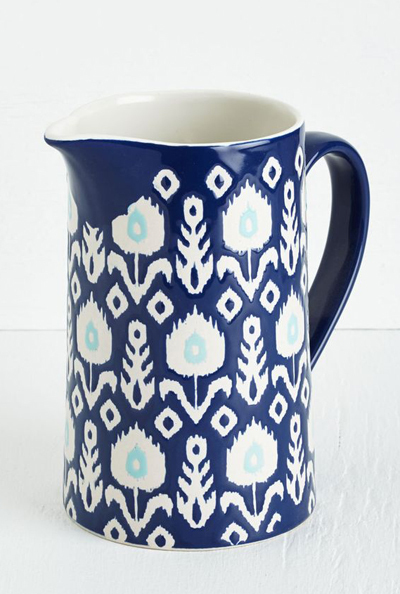 Serve up a generous helping of rustic charm with this Ikat Ceramic Pitcher – featuring an ikat-inspired floral motif in rich hues of navy-blue, turquoise, and white for undeniably delightful panache! $25.99. Buy here.